Following the V11 and ML90 ranges, Great Dane has once again partnered with Illum Wikkelsø's family, ensuring this poignant designer's work lives on. The low lines typical of Danish design, make The Australia perfect for small spaces or rooms with a view. Available in European oak or American walnut, as a three or four seater. A subtle inner sprung back and firm cushions create a comfortable seating experience. As for the name? 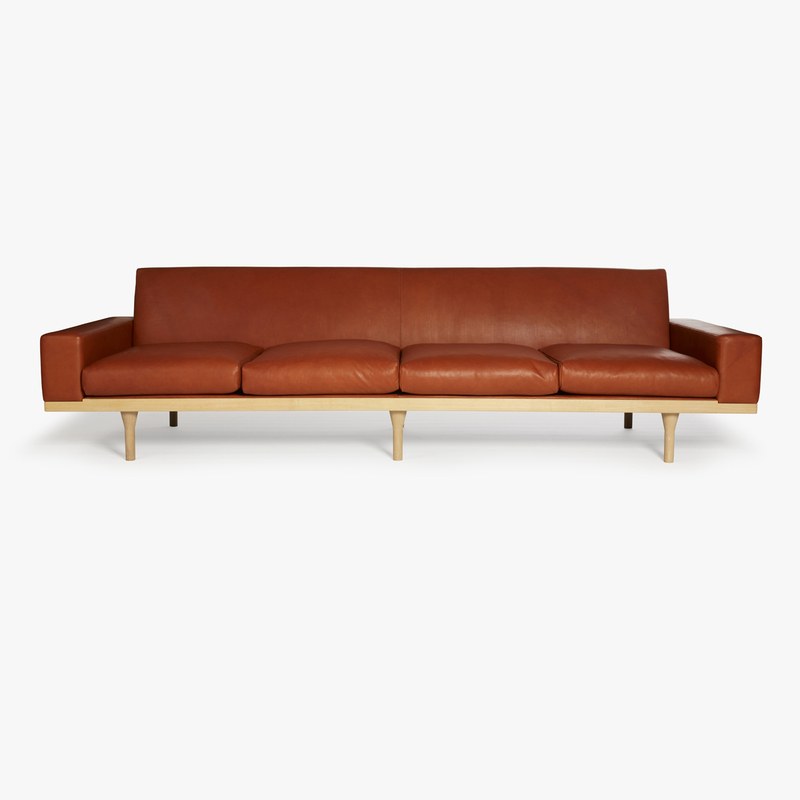 Much of Wikkelsø's work was inspired by nature, perhaps the vast open landscapes of Australia inspired this rare and impressive sofa. Price is for upholstery pictured in a 4 seater. Alternative upholstery options available upon request. Three seater sofa starts from $12, 250 in oak.